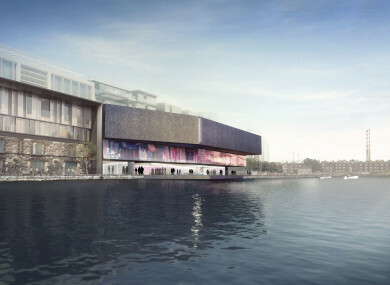 This follows Dublin City Council granting planning permission for the centre that is expected to attract 390,000 U2 fans annually to the centre on Grand Canal Quay. In recommending that planning permission be granted for the development, the planner’s report in the case stated that the centre “will upgrade one of the most prominent locations in the city” and contribute “to the animation of the area”. The City Council planner’s report also reserved special praise for the design of the planned centre by Dublin-based architects, ODAA. The planner’s report stated that the planned centre exhibits a distinctive contemporary design “which will make a positive contribution to the site and Dublin’s urban fabric”. The City Council gave the centre the go-ahead after U2 and McKillen significantly reduced the height of its planned visitor centre in response to ‘serious concerns’ expressed by the City Council last August. The planning authority granted planning after U2 made a 16.25% reduction in height of the 14.4m metre high centre. The revised height of the visitor centre is 12.06 metres after the 2.34m reduction. The architects stated that the revisions have been achieved without undermining the intent of the original concept “and we are confident that the revised design maintains the same degree of functionality and user experience as before”. In response to the original plan, planning consultants for Carysfort Capital, McGill Planning stated that, if granted, the U2 visitor centre “will leave a profound and long term effect on the character of the Grand Canal Dock area”. In total, 12 objections were lodged against the proposal with seven submissions in favour including Failte Ireland and Dublin Chamber. U2 and Paddy McKillen Snr have been contacted for comment on the planning permission being granted for the proposal. Email “U2 'find what they're looking for' as green light given for visitor centre in Dublin”. Feedback on “U2 'find what they're looking for' as green light given for visitor centre in Dublin”.